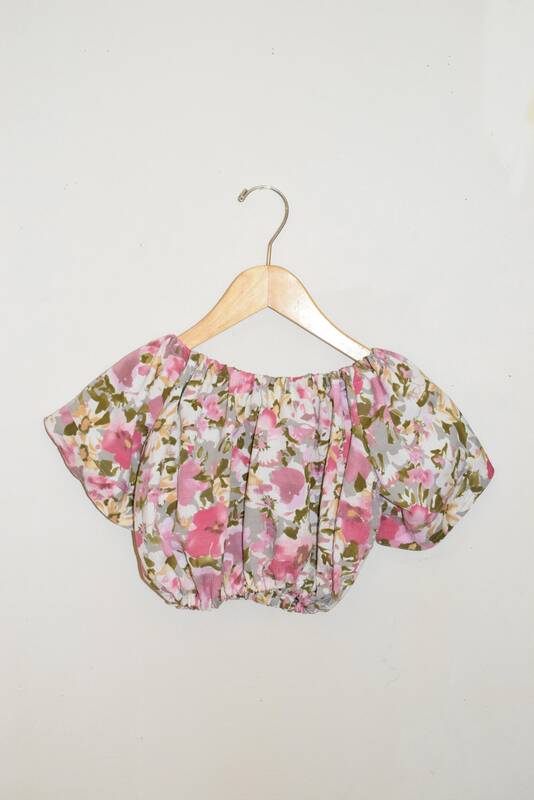 Cropped shirt in a floral pattern that has tones of muted pink, cream, green, violet, and yellow. 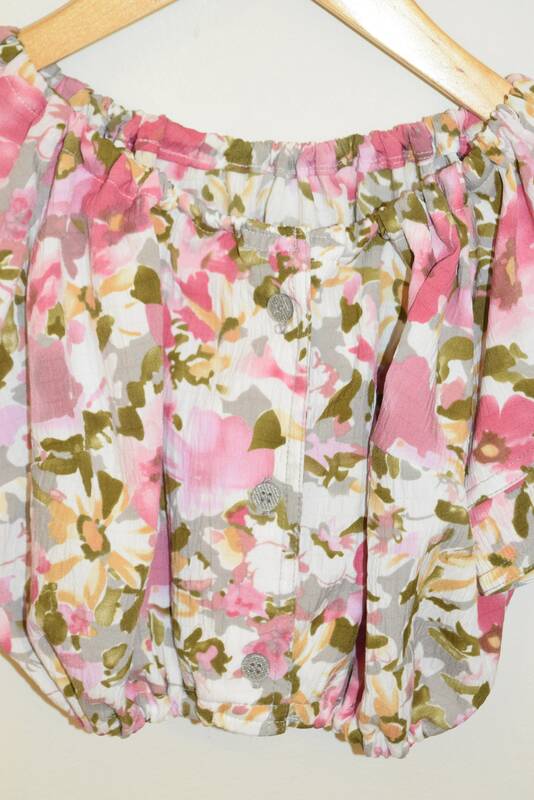 Garment has elastic under bust and at neckline, as well as button up the front (buttons do not undo). 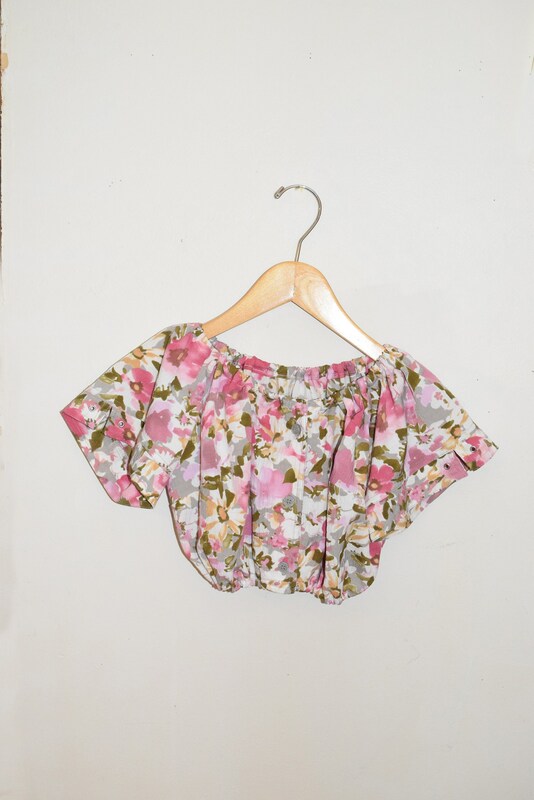 Can be worn bucked at neck or off the shoulder. Size unlisted. Fits XS - S depending on desired fit - see below for full measurements. 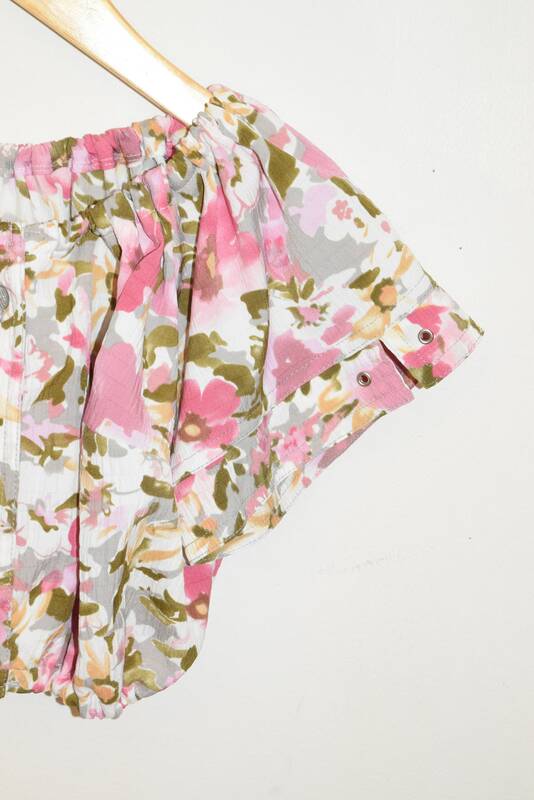 Unlisted, feels like a medium-lightweight crepe. Shoulder width un-stretched 11" || Shoulder length stretched 24" || Sleeve length 7" || Bust 36" || Waist un-stretched 14” || Waist stretched 36" || Length from back of neck 9.5"